24/7 Local Locksmiths at Your Service! Our nationwide locksmiths have the fastest response rates across the U.S. Need a locksmith NOW? Call toll free 24/7! Call Locksmith Pros at (877) 751-2859 and our nearest locksmith will arrive in under 30 minutes! Our certified team of professional locksmiths is available locally from coast to coast. Our technicians deliver efficient locksmith services 24 hours a day, 7 days a week. Our local services will arrive within 30 minutes of your call to help you out. Find yourself locked out of your car or home? Looking to get a lock replaced in a hurry? Our highly trained and experienced professional locksmiths are licensed and insured to guarantee satisfaction on every service completed. Whether you need routine lock repair or you run into a dire, middle-of-the-night home lockout emergency. Whatever your requirements, we have full confidence in our select locksmith tradesmen to provide services for any residential, office, and auto locksmith needs you might have. With our Local Locksmiths nearby, help is always just a simple call away. Whatever your requirements, we have full confidence in each and every one of our select locksmith tradesman to provide the best locksmith prices and services for almost any kind of residential, office, and auto locksmith needs. We have expert locksmith technicians who are certified to service all your locksmith needs in your particular state. When you call upon our locksmith professionals, you can be sure that you are relying on a licensed expert who will arrive to assist you with all the necessary credentials on hand. Always be sure you are relying on a locksmith professional who is certified by the ALOA, the Associated Locksmiths of America. GET A CAR LOCKSMITH IN UNDER 30 MIN! Our Automotive locksmiths are here to assist you with the automatic locking systems on your car or motorcycle. 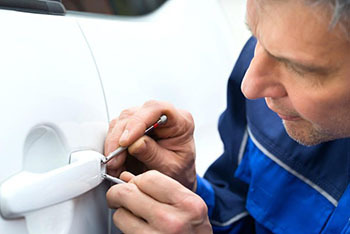 We can upgrade your car’s security system, and replace key fobs as well as diagnose any security issue in your vehicle. We service all types and brands of automobiles and can help you out with any roadside troubles you might be experiencing. When it comes to meeting your home security needs, our team of home locksmith technicians has a wide selection of locksmith tools, experience and lock services to help keep your home secure: from the gate to the garage to your basement window locks, we've got you covered! We are proud to be able to provide you with well-trained, friendly personnel who are available at all hours to help you with any lock-related issues you may have. Having the right security solution for your home as well as a locksmith company to depend on if things go wrong is crucial! Our residential locksmith team will take on all your residential lock, key and security needs, including specialty high tech locks and security systems for the disabled. We offer noncommittal consultations and price quotes for all our services. Ask our friendly phone rep about our six-point security assessment for your home. Every business has its own unique security situation, which is why Locksmiths Pros has a wide variety of services to meet all your office locksmith needs, no matter how complex they might be. From the smallest offices to the largest factories, our workers have the training and knowhow to make your business safe and secure. 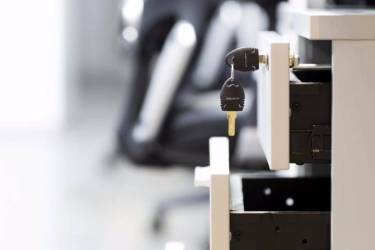 The right security solution for your business or commercial space is essential, which is why your business needs a qualified commercial locksmith company that you can rely on in a pinch. Locksmith Pros has a wide range of commercial high-security solutions as well as Master Key systems, and more! We have the skills, experience, and expertize to provide you with any office locksmith needs you have. If you find yourself locked out of your home or car, you need locksmith assistance right away. Call our national locksmith hotline and we'll send our closest Locksmith Pros locksmith to your location to arrive in under 30 minutes! 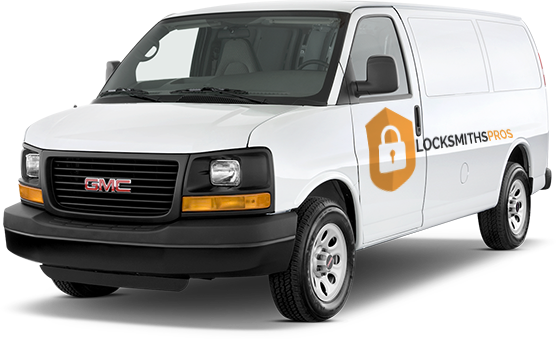 Each and every one of our emergency locksmiths across the nation is outfitted with a mobile locksmith van that contains a storehouse of the latest cutting-edge locksmith tools, so they are always equipped and ready for any kind of locksmith emergency no matter how strange or unusual. Most people don’t even think about their home or car security until something goes wrong. That’s when you need a good 24-hour locksmith the most, and that’s where Locksmiths Pros comes in. We specialize in providing fast response solutions and our friendly, thorough workers are prepared to help you out, allowing you to get your life back to normal in no time. If your home has been broken into, we’ll do the necessary repairs to make sure it doesn’t happen again. If you’ve locked yourself out of your car, your home or your office, our nearest locksmith will arrive quickly and get you in without any damage to your property. At Locksmiths Pros, we understand that you want the job done right. That’s why our workers are trained, certified and bonded. That means that you can rest assured that your lock, key and security issues are handled properly and with fairness in mind. Our team is fully dedicated to customer satisfaction and will do whatever it takes to ensure that you are fully content with the service we provide. Our team is made up of licensed, certified locksmiths. We are also active members of the Associated Locksmiths of America. Call Locksmith Pros today for a free, no obligation locksmith service estimate!! Since our locksmith company is nationwide, we can afford to maintain affordable locksmith prices! But maintaining the lowest locksmith prices does not mean we are willing to compromise on quality - not in the slightest! All our locksmiths are accredited and, whether experienced or not, receive annual locksmith training updates and re-evaluations to ensure that each and every Locksmith Pro locksmith all across the nation is always an up-to-date, capable and supremely professional locksmith. When you need a top locksmith at rock bottom prices, call our 24/7 hotline on (877) 751-2859 and discover why our customers keep coming back again and again! Call Locksmiths Pros nationwide hotline on (877) 751-2859 For Fast, Affordable Locksmith Services Now! In order to get a price estimate on any of our locksmith services, all you need to do is simply give us a call and we’ll be happy to give you a service estimate. We do it all; if it has to do with locks and keys- we are here to help you out. We work with a wide variety of locks and keys for your home, office or vehicle. All the services we complete are fully guaranteed, so you know that just in case there is a problem, we will gladly return and re-service your lock for you free of charge. We stand by our work. Of course, when it comes to locksmith services, you want to be sure that your locksmith technician is fully certified to service your locksmith needs. Feel free to ask our locksmiths to see their certification papers. Yes, when it comes to security-related issues, you only want to hire a locksmith professional who is fully licensed and insured. You can always feel free ask to see your locksmith’s State issued security employee license upon his arrival. To find the best locksmith near you, you’ve come to the right place. Our technicians are the best in the business, and they are local, which means they can reach you in record time! First of all, do your research, read reviews and ask your friends and family if they have recommendations for you. You can also ask your locksmith technician for his credentials, to ensure that you are in capable hands. Do you provide service in my postcode or area? We are a nationwide, mobile locksmith company, and we are local. Since we are local and mobile, we can reach you in your area within half an hour of your calling. How soon will the technician arrive? In an emergency locksmith situation, we will dispatch the closest locksmith to you, who will be able to arrive within half an hour to help you out. How long will it take the locksmith to complete the job? That depends on the services we are carrying out. Smaller locksmith tasks could be dealt with within minutes, while more complicated jobs might take a bit longer to complete. Yes, each of our mobile technicians is equipped with a fully stacked vehicle, so that no matter what service you need to be carried out, our locksmith technician will be able to assist you with it on the spot. Can you come after regular working hours in the evening and weekends? Yes, we are a 24-hour locksmith company, which means we can help you out with all your locksmith needs, at any hour of the day or night. Do you provide with a receipt? Sure, as part of our guarantee, when our locksmith technician has completed his services, he will be able to provide you with a detailed receipt of payment.